We can pretreat new construction in order to prevent termites. We also offer post-construction perimeter treatment to prevent termite infestation. If you have discovered that termites are already actively assaulting your foundation, we can treat the infestation and repair the damaged the area. 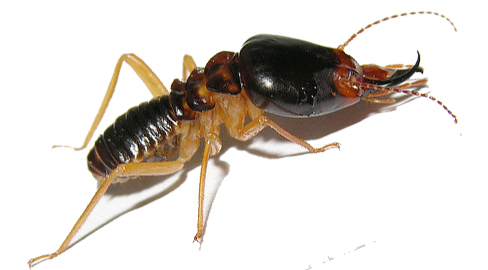 The queen of a certain termite species can lay up to 40,000 eggs per day. When forming a new colony, flying male and female “swarmer” termites break off their wings, enter wood through a crack or hole, mate and begin feeding. Other insects have long lived immature stages but termites appear to have the longest lived adult reproductive lives. Termites burrow into wood to obtain food. An estimated 15% of all new homes have serious structural defects and damages, which may include termite damage.